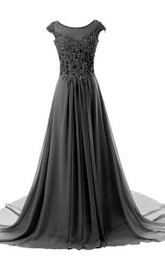 An outstanding dress for all the outstanding ladies out there! 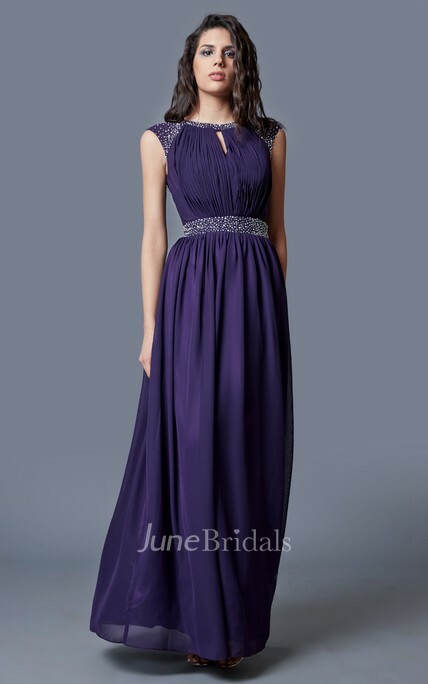 Floor length dress with pleats is a very classy combination, along with that we have heavily beaded neckline and waistline which adds on to the classiness. The key-hole at the back would drop many jaws. A dress to impress! 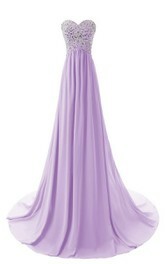 I loved my gorgeous chiffon neck gown I received from here. 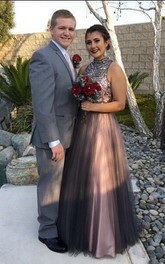 The dress was perfect. 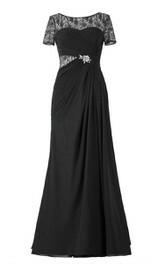 Size 4 has the best length, but for this dress I order the next size to perfect fit my curves. However, it looked a bit long but, this can easily be adjusted with minor alterations. 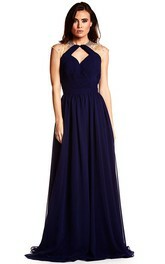 I purchased 8 pieces of this dress for my bridesmaids. 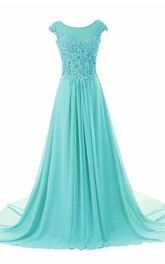 I was scared while ordering them online, but Thank God, it was just my assumptions only and all these dress looked perfect as we thought. However, a little alteration is required for those who have small busts and the dress looked a bit bigger in that area, but that does not matter because it can be tailored to perfection. 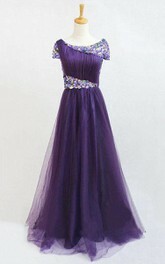 On the other hand, some my bridesmaids face the opposite problem, so I ordered another size and kept it as a backup. But when I placed this order, I was surprised to get messages from the website. They sent me an email where they stated if I am facing any sizing or fittings problem, they could send us measurements or make it custom fit. Although our problem was solved with a bigger size but I am very happy to get their attention and I would definitely buy from this site again. They deliver good quality product at good prices. Very happy. 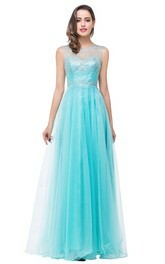 I ordered a chiffon gown from this site to attend a party of my friend. 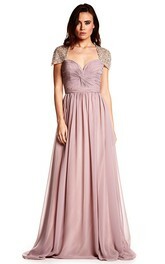 It was a beaded chiffon neck gown that looked truly amazing. 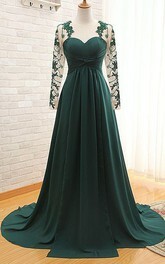 However, I was not sure about the fittings of the dress but when I received it, it was just outstanding. It fitted me perfectly and I was feeling like top of the world. I paid less than $200 for it but, I think it worth more than this. Price and quality both are superb. Very happy with the seller as well as he gave quick replies to my queries. Thank you seller and keep up the good work.